It's not what you know, it's who you know, unless WHAT you know, is that your dad is the President of Disney or whatever. With Sean and David on the road, King Karms welcomes comedians Kara Klenk, Sean O'Connor and Julian McCullough into the studio to draft Nepotism. 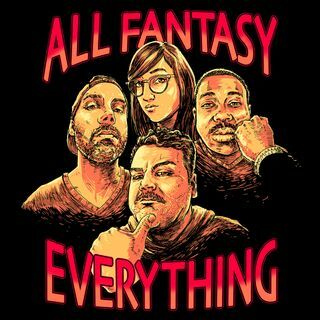 Join the All Fantasy Everything ... See More Patreon for exclusive mailbag and movie watch-a-long episodes. Check it all out at www.patreon.com/AllFantasy.